Join Us In The Austrian Alps For An All Inclusive Luxury Ski Getaway! Our first ever ski getaway will be a once in a lifetime, luxury ski experience in the Austrian Alps. We Are Travel Girls founders Becky van Dijk and Vanessa Rivers will be your hosts on this blissful week in the snow where you will indulge in spa treatments, unlimited yoga classes, gourmet dining, après-ski parties, and of course excellent skiing and snowboarding – all from your luxury ski-in / ski-out eco accommodations in the breathtaking Austrian Alps! The Skicircus Saalbach-Hinterglemm/Leogang ia a magical ring of 2,000m peaks and is one of the biggest ski areas in Austria with 167 miles of slopes, accessed by 70 lifts. It boasts one of the most sophisticated lift systems in Austria and is perfect for beginning, intermediate and advanced skiers. There are 86 miles of green, 69 miles of blue, and 12 miles of black slopes making up one of the most diverse and best ski areas in the Alps. Your luxury accommodation for this getaway is an alpine eco hotel, perfectly situated on the slopes in this beautiful ski area surrounded by pristine wilderness. The trip will be hosted by We Are Travel Girls founders Becky van Dijk and Vanessa Rivers. Becky is an intermediate skier and Vanessa is a certified ski and snowboard instructor. WATCH SKI TRIP PREVIEW VIDEO! The Austrian Alps Ski Getaway is for the active female traveler looking for a luxury ski trip! Your luxury accommodations for your 8 day / 7 night ski trip in the Austrian Alps will be a unique alpine eco hotel in the heart of Saalbach Ski Area – the perfect place to stay to experience the beauty of the Austrian Alps. If you love skiing, snowboarding, yoga, eco hotels, spa time, and gourmet organic dinning (vegetarian / vegan options available), and apres-ski parties, then this trip is for you! The only thing better than experiencing all of this is doing it with a group of new friends who will feel like family by the end of the week! You will be staying in a luxury eco hotel Forsthofalm for the duration of your trip! Our luxury accommodation boasts an incredible ski-in ski-out location, allowing you to roll out of bed, put on your skis and go! The decor is alpine style with a modern twist – hip yet inviting. Forsthofalm is an environmentally-friendly eco hotel, built almost entirely of timber and glass, along with other natural, recyclable materials. For more details please see the sample itinerary below. Our Austrian Ski Retreat will be hosted by both founders of We Are Travel Girls, Becky van Dijk & Vanessa Rivers! Vanessa Rivers is one of the founders of We Are Travel Girls, blogger at GlitterAndMud.com, swimwear designer and surf and snowboard instructor. As an experienced skier and snowboarder, Vanessa is excited to lead our very first luxury ski retreat in Austria! As well, as bringing her expert ski knowledge Vanessa will be sharing her love for active escapes and her entrepreneurial knowledge. Becky is one of the founders of We Are Travel Girls, blogger at BeckyvanDijk.com and launched our Travel Girls Getaways in 2017. Since then she has led 8 getaways in Bali, Japan, Malawi and Morocco and she is excited to be part of our first active escape. Becky is a novice skier, but expert apres-skier (!) so she cannot wait to meet you on the slopes and have a fun week in the snow! One of our guests favorite parts of our trips are the accommodations that we carefully select and our ski trip is no different. We are excited to be hosting this trip at a beautiful luxury eco hotel in the Austrian Alps. For more pictures and details of the hotel, please visit the Ski Retreat Hotel Page! 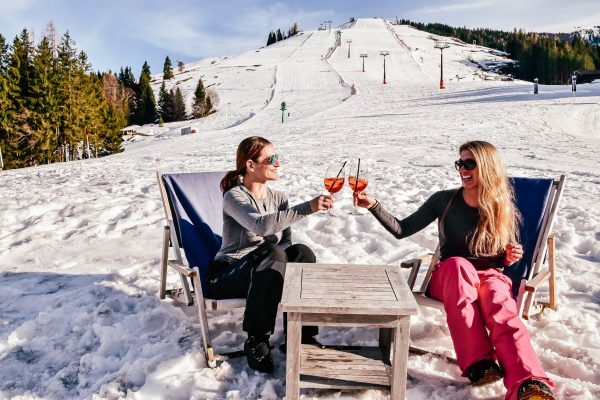 On this luxury ski getaway we want to show you the best of the Austrian Alps as well as allow you time to rest, relax, unwind, and bond with other guests. Day 1 – Arrive: Guests arrive at Salzburg Airport and are transported to Forsthofalm Hotel in the Austrian Alps – a beautiful 90 minute drive from Salzburg. Guests check into their rooms. Special welcome dinner at 8pm where everyone will meet and get to know each other. Day 2 – Spa Day: This will be our orientation and spa day. We will have a fun group breakfast at 9am. If you did not bring your own equipment after breakfast you will sort out your rentals. Skiers can rent their equipment from the rental shop at Forsthofalm. Snowboarders will be transported to the nearby town of Leogang to rent snowboards and boots. The afternoon will be free to enjoy yoga classes, spa treatments, the relaxation areas and rooftop pool. Tea and snacks will be available at 3pm. Our group dinner will be at Forsthofalm Hotel at 8pm. Day 3 – Free Ski Day: Our group breakfast will be at 8:30am (but breakfast is available from 7:30-10am in you prefer to eat earlier or sleep in). For anyone who wants to join Vanessa and Becky will lead a fun group ski day adventuring around the mountain starting at 9:45am. Early morning, afternoon and evening yoga classes available. Spa treatment times available throughout the day. Our group dinner will be at Forsthofalm Hotel at 8pm. Day 4 – Apres-Ski Lunch Party Day: Our group breakfast will be at 8:30am (but breakfast is available from 7:30-10am in you prefer to eat earlier or sleep in). For anyone who wants to join Vanessa and Becky will lead the group to the apres-ski lunch party around 1pm. Early morning, afternoon and evening yoga classes available. Spa treatment times available throughout the day. Our group dinner will be at Forsthofalm Hotel at 8pm. Day 5 – Salbaach Ski Day: This will be our big group ski day. 8:00 am breakfast. 9:00am hit the slopes. Vanessa and Becky will lead you on a fun group ski day, skiing from from Forsthofalm Hotel (Leogang) to the town of Salbaach which takes about 3 hours. Our group will stop for a fun lunch in Salbaach and relax for a bit before skiing back to Leogang. Dinner will be at Forsthofalm Hotel at 8pm. Day 6 – Free Ski Day: Our group breakfast will be at 8:30am (but breakfast is available from 7:30-10am in you prefer to eat earlier or sleep in). For anyone who wants to join Vanessa and Becky will lead a fun group ski day adventuring around the mountain starting at 9:45am. Early morning, afternoon and evening yoga classes available. Spa treatment times available throughout the day. Our group dinner will be at Forsthofalm Hotel at 8pm. Day 7 – Apres-Ski Lunch Party Day: Our group breakfast will be at 8:30am (but breakfast is available from 7:30-10am in you prefer to eat earlier or sleep in). For anyone who wants to join Vanessa and Becky will lead the group to the apres-ski lunch party around 1pm. Early morning, afternoon and evening yoga classes available. Spa treatment times available throughout the day. Our group dinner will be at Forsthofalm Hotel at 8pm. Day 8 – Departure Day: Group Breakfast at 8:30am. Say our goodbyes and reflect on the amazing week we had together. Transfers back to Salzburg airport. Ski and Snowboard Rentals. See FAQ for details. There were many things I loved about the experience with WATG! Firstly, discovering beautiful places to see and eat with other like minded women who share in my thirst for adventure. Secondly, meeting women with ideologies and lifestyles outside of my realm of personal experiences. Thirdly, gaining valuable resources and exchanging ideas in workshops focused on improving entrepreneurial skills. Fourthly, immersing myself into a group of predominantly extroverted women when I myself am introverted, and to feel genuinely accepted and able to unabashedly be my most authentic self. Fifthly, networking on a personal and professional level in an organic, casual environment. The retreat has been such wonderful healing for my soul. In addition, through Becky's leadership and expertise on travel and blogging, I was able to define my special niche as a micro-influencer. I realized there are enough girls out there who can better blog about beautiful destinations than I can, but I believe there’s a greater need for women to show how to get through some of the hurdles in life. Even through our brokenness and imperfections, we can help others heal by sharing our experiences through travel. I look forward to 2018, with more epic adventures, including South Africa, while continuing to share the lessons I’ve learned on my journeys to help the world. I loved the WATG Getaway in Bali because of the authentic, intelligent and diverse women who attended. We immediately connected based on our personal drive and passion for travel. I know I've made lifelong friendships and we already have plans in the works to reconnect. This retreat is truly about lifting each other up! What level of skier or snowboarder do I need to be? Our Austrian Alps Ski Getaway is for all ski levels and the Saalbach ski area has a vast array or terrain perfect for beginner, intermediate and advanced skiers. However, if you have never skied before or have only skied a couple times and are not comfortable skiing down easy slopes your own it will not be possible for you to ski with our group, or attend the apres-ski parties. 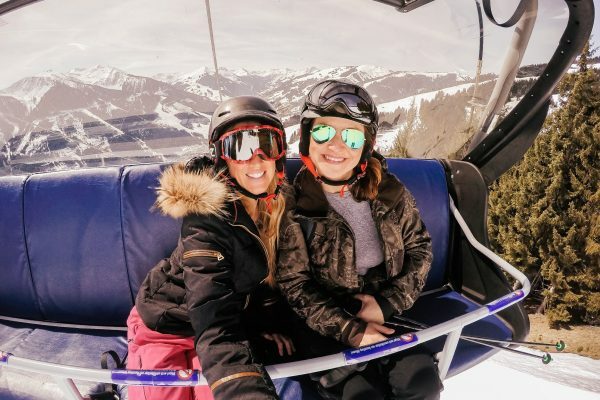 But you are still welcome to come on the trip and take ski lessons or ski with a friend who is also learning and spend your extra time relaxing in the spa and wellness area, or doing yoga or other activities. Can I hire ski or snowboard Instructor? 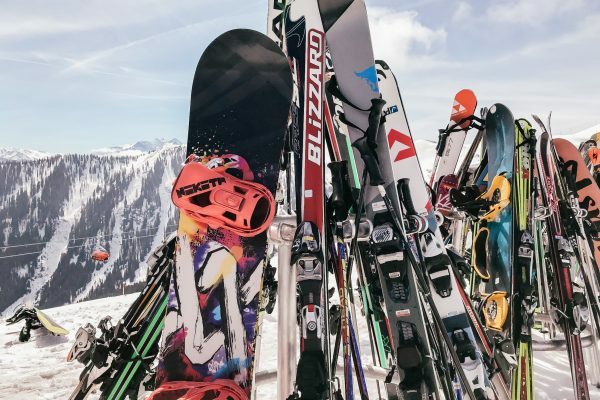 What are the ski and snowboard equipment rental prices? You can rent ski or snowboard equipment for around $200 USD for 5 days. You can rent ski equipment from Forsthofalm directly and their rentals are top notch. Snowboarders will be taken to the nearby town of Leogang (10 minutes drive) to rent snowboard gear. You can choose to rent basic or pro equipment which will affect the pricing. Do I have to do the ski day from Leogang to Salbaach? No! All activities on this trip are optional. If you’d prefer to have a more relaxed ski day you do not have to join the big group ski to Salbaach. This is your trip and you should do whatever you feel like doing. There are plenty of fun runs all around Forsthofalm Hotel. What are the rooms like? Can I upgrade to a single room? The best part about the rooms at Forsthofalm is that they all have beautiful mountain views! The basic rooms are large by European (and American) standards, decorated in alpine decor with modern amenities and chic accents, offering a sitting area with a couch, and a separate table and bench seat. All rooms and suites are built entirely of wood, including moon wood, and no glue or metal was used, which helps guests have a more peaceful, deep sleep. One thing to be aware of – when sharing a room you will have your own mattress, sheets and blanket but your mattress will be next to your roommates and it is not possible to separate the mattresses because they share the same bed board (click here to see the Hotel Information page and more images of the bedroom). This is European style and quite normal in Europe but some Americans are not use to this. If you’d prefer to have your own room please let us know and we can provide you with single occupancy pricing. Absolutely! This getaway is an opportunity to connect with a group of women from all over the world and make new and lasting friendships! Yes. There are excellent vegetarian and vegan options available at Forsthofalm Hotel. If you have a further dietary requirements please let us know. How do airport transfers work? The transfer from Salzburg airport to Forsthofalm Hotel is an easy, beautiful 90 minute drive. We will provide two airport pick up times on arrival day and two airport transfer drop off times on departure day based on our groups flights. These airport transfers are included in the price of your getaway. If require an alternate pick or drop of time or prefer a private transfer this can be arranged for you for €190 per transfer. WHAT IS SKIING LIKE IN SAALBACH? The Skicircus Saalbach-Hinterglemm/Leogang – a magical ring of 2,000m peaks – is one of the biggest ski areas in Austria with 167 miles of slopes, accessed by 70 lifts. It also boasts one of the most sophisticated lift systems in Austria and is perfect for intermediate skiers. Beginners, families and experts can enjoy 86 miles of blue, 69 miles of red, and 11 miles of black slopes making up one of the most diverse and best ski areas in the Alps. The Austrian Alps will take your breath away the first time you experience them and being able to spend a day on the slopes here was a special experience. Click here to check out a videos from our ski day in Saalbach. WHAT ARE SPRING SKIING CONDITIONS LIKE IN SAALBACH? The snow coverage is excellent through the beginning of April making this an ideal Spring skiing destination. The slopes are wide, the lifts are fast, and the snow coverage is great! The Skicircus Saalbach also scattered with fun après-ski restaurant/bars where you can stop for lunch or cocktails with an amazing view. 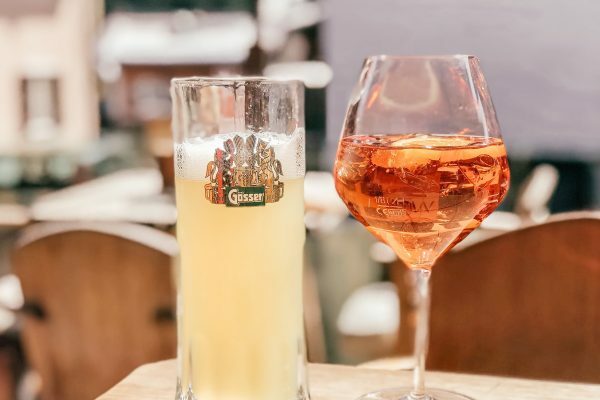 During March they also host apres-ski parties with live music and DJs performing at different venues around the mountain. We personally tested the spring skiing conditions the first week of April. Click here to check out a video of our ski day. Once your application is received and your booking confirmed a non-refundable deposit of GBP £500 is due immediately to secure your place on the retreat. The balance of the payment is due 3 months before the retreat start date. Once your booking is confirmed we will send you a link to our secure payment page to make the first payment for the deposit. We will then send you a reminder and payment link when the balance is due. You can use credit card or debit cards to make the payment. Upon request you can make a direct bank transfer or pay via PayPal. Yes. We require a minimum of 6 guests to run this trip. As per the Terms & Conditions, if the running of the trip is not deemed financially viable we reserve the right to cancel the retreat. In this situation you will be refunded all monies paid to We Are Travel Girls. However, we will not reimburse any travel costs or flights already booked. Please ensure you purchase insurance cover that includes winter sports. Will I be introduced to the other girls who will be on my ski getaway before the trip? Yes! Once we have filled all the spots on your trip we will create a private group Facebook page where everyone can meet. How will I stay in touch with everyone during our ski days? On orientation day we will create a group WhatsApp chat for your trip so everyone can be connected throughout the trip and after. If you do not have WhatsApp please download it onto your phone before your trip. Ski and snowboard equipment (or you can rent), ski pants and jacket, beanie, gloves, long underwear, snow gloves, workout and / or yoga clothes, workout shoes, swimsuit, sunglasses, smart casual clothing for dinners (jeans, sweater, flat boots – no need to bring heals) and sunscreen. Please also bring a reusable water bottle. Not required but suggested – a camel pack or small backpack so you can carry your water and snacks with you while you ski. Don’t forget your passport! A visa may be required to travel to Austria. It is your responsibility to check the visa requirements based on your country of origin / nationality and to obtain the correct visa for your trip. U.S. citizens may enter Austria for up to 90 days for tourist purposes without a visa. Please only complete the booking form if you are seriously interested in attending the retreat, the price is within your budget and you can travel on the specific retreat dates available. If you are interested in the retreats, but March 2019 does not work for you, please use our Expression of Interest form and we will keep you updated on new destinations, special offers and when bookings open for future Ski Retreats.